When I first saw this little gem of a movie -- last year at the FSLC's Open Roads -- I found it a very enjoyable crowd-pleaser. (My review from 2013 is here.) Its original Italian title is Viaggio sola, which translates, I believe to I Travel Alone -- a perfectly fine moniker for this unusual film that walks a near-perfect line between main-stream entertainment and movie art. 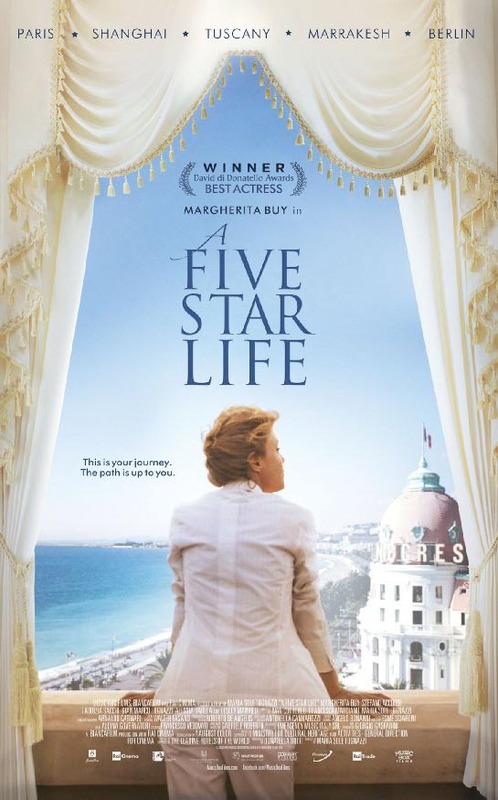 That title has now been changed to A FIVE-STAR LIFE, and while, initially, I felt the change unnecessary, seeing the film a second time makes me realize how smart a move this is. 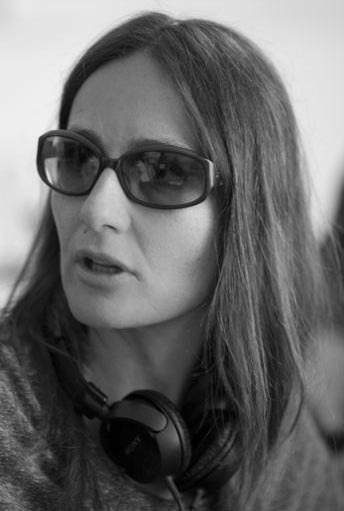 The director/co-writer, Maria Sole Tognazzi (shown below), has here fashioned a tale of a woman, Irene -- played by the fine Italian actress, Margherita Buy (above), who won the Donatello award (think of it as the Italian "Oscar") for her excellent work -- whose job it is to play the "mystery guest" at five-star hotels around the world, staying in each as would normal guest, but rating that hotel for everything from its staff to its food to its cleanliness and more. and finally a wonderfully in-your-face anthropologist and lecturer played by Lesley Manville (below, left), the connection with whom jolts Irene into reassessing her life and relationships and what she might really be seeking. All of this is woven quite beautifully and naturally into the screenplay. There is no undue exposition; we learn as we move along. So keenly aware are Tognazzi and her co-writers, the wonderful Ivan Cotroneo, and Francesca Marciano, of the little things that make up character, that virtually every character in the film, small or large, rings truthful and fascinating, which means that we never for an instant lose interest in the movie and its rather large cast. In that cast are Irene's family: a sister, brother-in-law (lovely performances from Fabrizia Sacchi and GianMarcoTognazzi, shown respectively, left and right, above) and two nieces (shown below). They have their own problems, too, which we come to understand, appreciate and even enjoy. Despite the Italian title, we are traveling with Irene every step of the journey, seeing things through her eyes and grappling with them via her mind and heart. It's rare for a movie to place us this close to its heroine, and what a joy it is to be there. Ms Buy, always a wonder to watch, may have outdone herself here. If you've not seen her work previously, this is a fine place to start. A Five-Star Life -- from Music Box Films and running a sleek 85 minutes -- is one of the best films to open theatrically so far this year. It knows what it wants to accomplish and does exactly that -- in one of those rare cases of "reach" and "grasp" coordinating perfectly. In New York City, look for the film at The Paris Theater, and in the weeks to come will open in cities across the country. Click here, then click on THEATERS to view all currently scheduled playdates, cities & theaters.